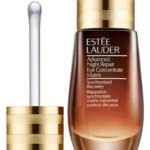 Estee Lauder introduces a companion product to Advanced Night Repair; a targeted eye treatment. Advanced Night Repair Eye builds on the brands’ use of three powerful technologies to address and treat visible signs of aging in the eye. This is a welcome addition, as I’ve long been a fan of the Advanced Night Repair serum. I’ve been using new Advanced Night Repair Eye and really like it. Using the same Chronolux technology that synchronizes clock gene activation, daily use around the eye area helps to diminish the appearance of fine lines and wrinkles and helps repair environmental damage. Other ingredients include an anti-irritant blend, a proprietary blend of antioxidants and high levels of Hyaluronic Acid– a key ingredient for helping to reduce dark circles, puffiness and crepiness around the eye. 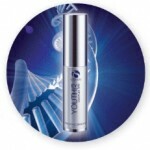 The texture of Advanced Night Repair Eye is that of a gel-serum. You apply three dots around the eye area (I use my ring finger) morning and night and gently blend. If you’re looking for an anti-aging eye treatment product that works on multiple concerns, you might want to try this one out. 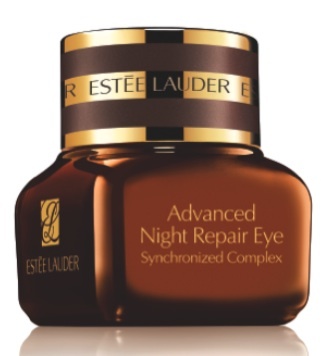 Estee Lauder Advanced Night Repair Eye retails at $49.50 and is available at Estee Lauder counters nationwide and at EsteeLauder.com. Very nice post. I am very impressed. Thank you very much.